Watertown Square is the heart of Watertown, located next to the Charles River, where nine roads converge: Main Street, Mount Auburn Street, Arsenal Street, North Beacon Street, Riverside Street, Charles River Road, Galen Street, Pleasant Street, and Spring Street. Town Hall, the Watertown Free Public Library, shops, restaurants, and many other businesses call Watertown Square home. Nine MBTA bus routes run along three legs of the square, and the MBTA bus yard is a major hub for transit to Boston, Cambridge, and Newton. Route 71, which terminates in Watertown Square and runs along Mt. 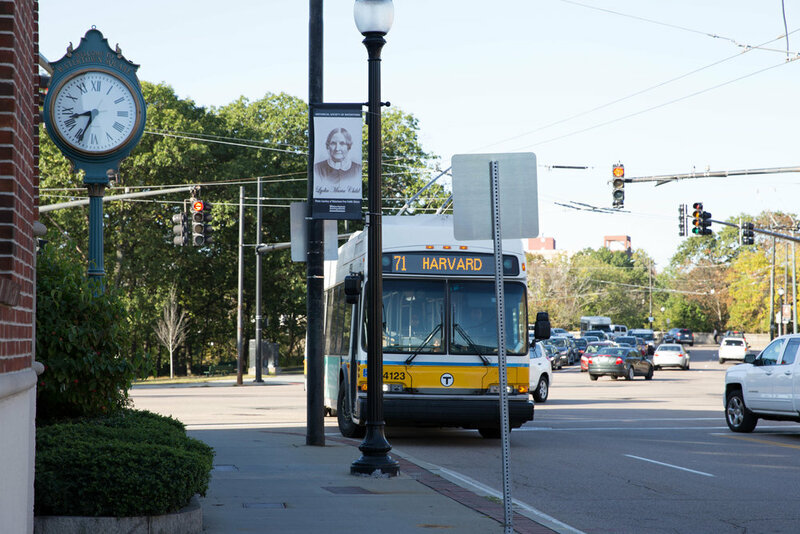 Auburn Street to Harvard Square in Cambridge, is considered a “key bus route” by the MBTA, one of the top ten busiest routes in the system. The Square connects industrial and commercial uses along Arsenal Street with the Massachusetts Turnpike. It serves as a node between Newton and Cambridge, and connects the various residential neighborhoods in Town. It is also a recreational hub, with the Paul Dudley White Charles River Bike Path converging on either side of the Galen Street bridge and providing access to the adjacent Massachusetts Department of Conservation and Recreation (DCR) parklands. Due to its central location, activity, and various travel modes, Watertown Square experiences traffic congestion. Pedestrians and bicyclists also have trouble crossing the various intersections. The June 2017 Massachusetts Department of Transportation’s (MassDOT’s) study of the Arsenal Street Corridor identified potential improvements for Watertown Square, which will be further evaluated, designed, and implemented through this project. The Watertown Square Improvements Project aims to take a multi-modal, Complete Streets approach to the Square, while recognizing the regional role it plays in the transportation network. A Complete Street provides safe and accessible options for all travel modes - walking, biking, transit and vehicles - for people of all ages and abilities. 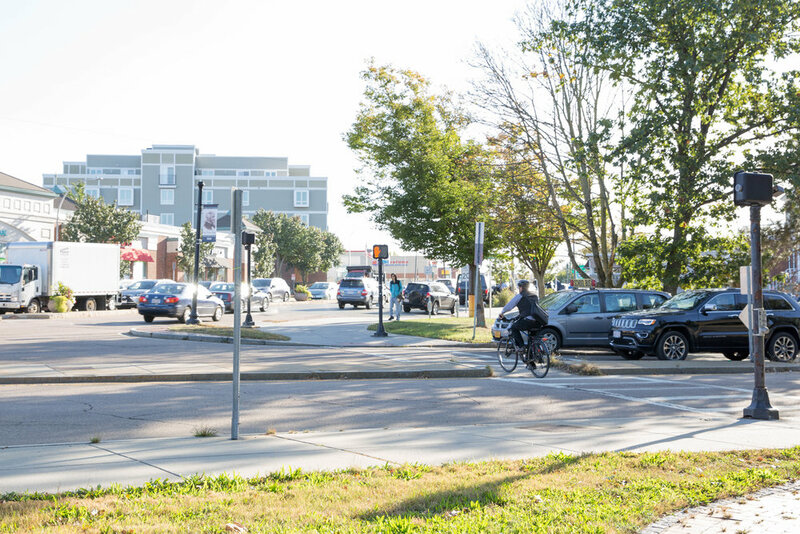 Through the design and implementation process, the Town will develop designs for accessible sidewalks, bicycle accommodations, new lane markings, an updated traffic signal control system, and new wayfinding and roadway signs, among other upgrades and repairs. These enhancements will improve safety for everyone, make it easier to navigate the square, and strengthen Watertown Square as a vibrant town center.